Anyway, I am going to give you a review, but first, for my writer friends, I jotted down a few notes from Ally that I thought I’d share. She said there’s always a point where her characters can rush in and be heroes or call the proper authorities, which is also a point where her book can be interesting or her characters can be smart. She finds a way for both to work. Now that I’ve gushed about Ally and the event, I’ll move on to the book itself. 1. The setting – And it’s only because I don’t have to be there. It’s funny, because Ally said she decided to set a book in Alaska because she went on a cruise with her family, and during a tour the guide told her even the ground water had poison in it. I didn’t even need that to convince me I never wanted to return after our own family cruise. The cold in the middle of June was enough (sorry, Alaskans!). Anyway, there’s a letter Maddie writes to Logan that perfectly sums up why this setting is so perfect for a YA thriller. Well, [Dad] brought me to a place where he leaves me alone all the time and where pretty much even the AIR can kill you. I may definitely die of boredom. I’m not going to tell you how many of those she ends up using in the book. 2. The stakes – Going along with the setting, there were so many opportunities for the circumstances to get worse for Maddie and Logan, and the great thing about it was: they couldn’t call for help. So that point I mentioned before, about Ally Carter wanting her characters to be interesting and smart? When you’re in the middle of the Alaskan wilderness, it’s pretty hard to call 9-1-1. 3. Maddie herself – Maddie is such an awesome character. She knows how to survive in the Alaskan wilderness, but she’s still a girlie girl (which is why she has a bedazzled hatchet). In addition, she knows how to use those stereotypes about teenage girls against the men who intend to hurt her and Logan. She’s smart, resourceful, and strong–exactly the sort of girl the bad guys will underestimate. 4. The twists – I love good twists, and this book is full of them. There were several that took me completely by surprise and others that I didn’t see coming until right before they did. Very well done! 5. The dual POV – I really liked hearing from both Maddie and Logan in this story, getting both sides of what they were feeling. It was complicated but also completely believable how they each approached both their relationship and the situation. 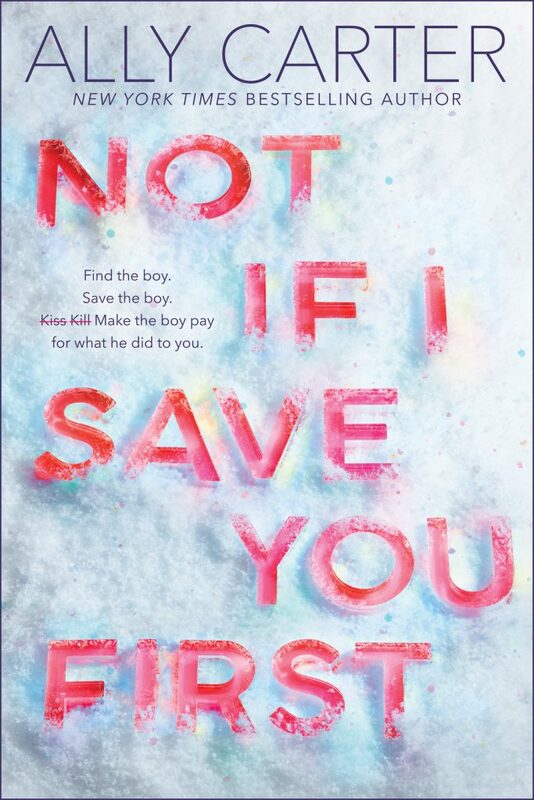 So, to sum up, NOT IF I SAVE YOU FIRST is another fantastic book from Ally Carter, and I highly recommend you pick it up. Just a note that this one is a stand-alone. Also, if Ally’s coming through your city on tour, take the time to go meet her! She’s funny and lovely in person. As I began preparing this post, I was a bit shocked to see that I’ve read less than 100 books this year, although I have 11 days left, so I might be able to squeeze four more in :). However, one of the reasons I’ve read less in 2017 is that I returned to another passion–the violin. While I’ve been playing in my church orchestra for years, I missed playing classically. So in August, I joined a local symphony orchestra, and a number of hours I used to spend reading each week are now devoted to rehearsals and practicing my violin. So it’s a good reason for diverting reading hours! The other factor is that I’ve been mixing in more adult books from my collection downstairs, going along with my post from August 2016 about the importance of reading just for fun, but incorporating these old favorites decreased the number of books I finished since adult novels are significantly longer. 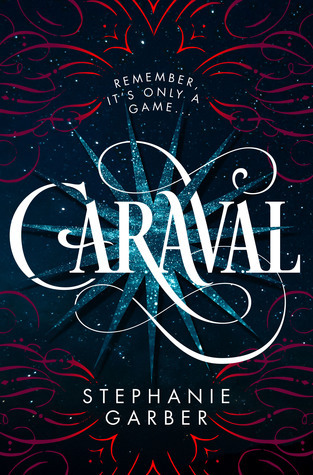 CARAVAL by Stephanie Garber – I love that a sibling relationship centers this book, but it also features a tension-filled romance, gorgeous prose, new twists in seemingly every chapter, and terrific pacing. Looking forward to the next book! FOLLOW ME BACK by A.V. 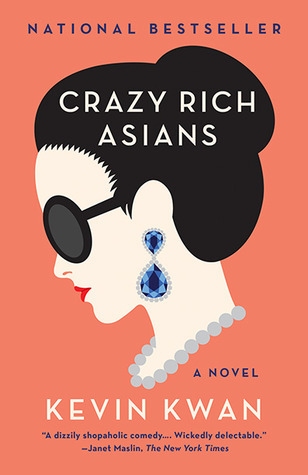 Geiger – I read this book in one day thanks to its unique format, gasp-out-loud twists, fantastic pacing, and an ending that has me anxiously anticipating the sequel. Actually, I just paused writing this post to pre-order it, and I’m sad it won’t arrive until June :(. NIGHTFALL by Shannon Messenger – If you’ve been following my favorite reads lists, this one won’t surprise you. 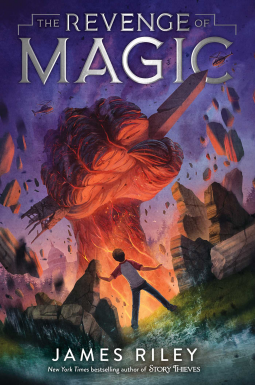 Shannon Messenger’s Keeper of the Lost Cities series consistently ranks among my favorite middle grade reads every year, and this year’s installment delivered with the same level of humor, adventure and intrigue. Can’t wait for the next one! 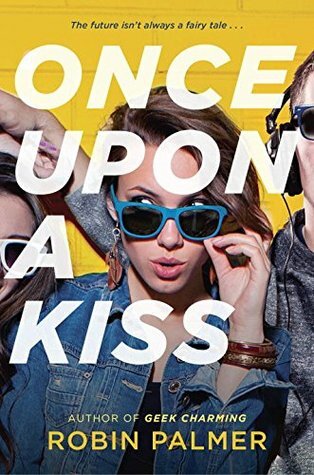 ONCE UPON A KISS by Robin Palmer – I am such a sucker for time travel books, but add in humor, friendship, and romance, and I’m sold! 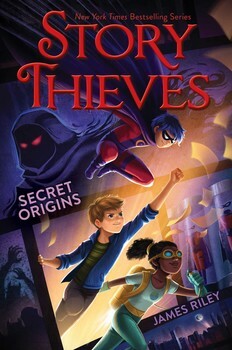 STORY THIEVES: SECRET ORIGINS by James Riley – I don’t know why I don’t have a review of this book. 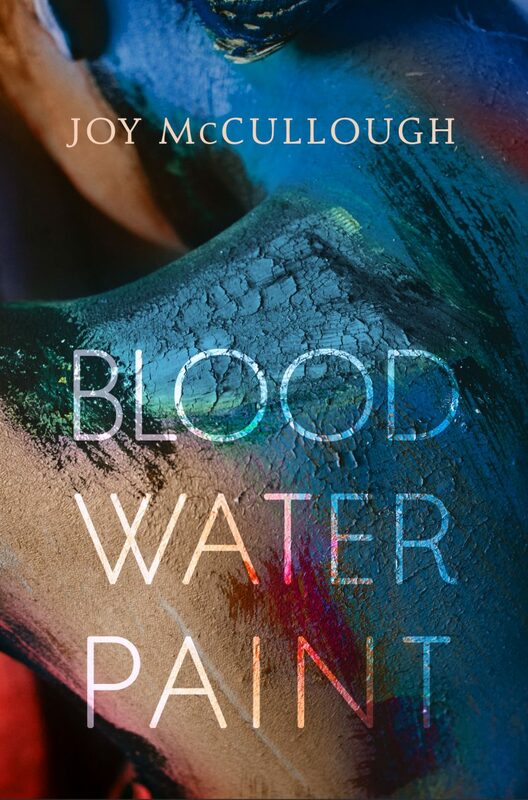 I think I must have read it during a time when I was too busy to write one, but this whole series is amazing, and you can read my review of the first book here. 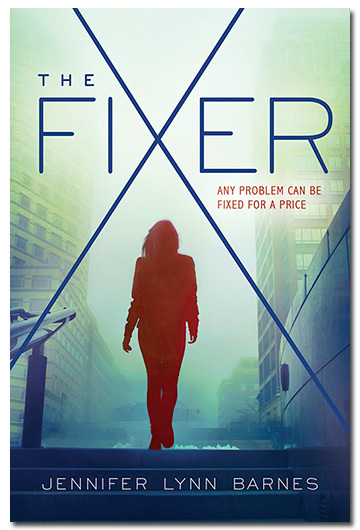 In this third installment, James Riley delivered jaw-dropping new twists, and he amazes me with his continued ingenuity. The next book is choose your own adventure :). 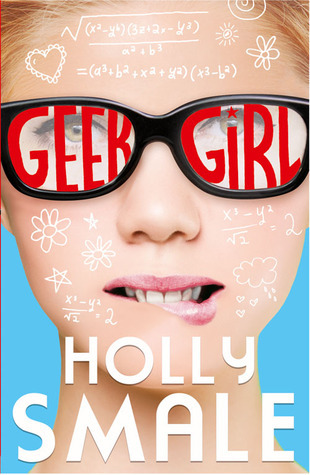 GEEK GIRL series by Holly Smale – While I’m not ranking these books overall, I’m going to make an exception for this series and say it was my favorite read of the year. I picked up the first book at the Scholastic Warehouse Sale last December and didn’t get to it until the summer. Once I started reading, I COULD NOT STOP. And there are six books, plus novellas. And this became an issue because they are British and weren’t all available in the U.S., and I had to wait TWO WEEKS for books four and five and it was agony. Anyway, these books made me laugh and cry, which is very rare. I only cry over relationship drama, so I really cared about these characters. I’ll stop now. Just … you should read these. 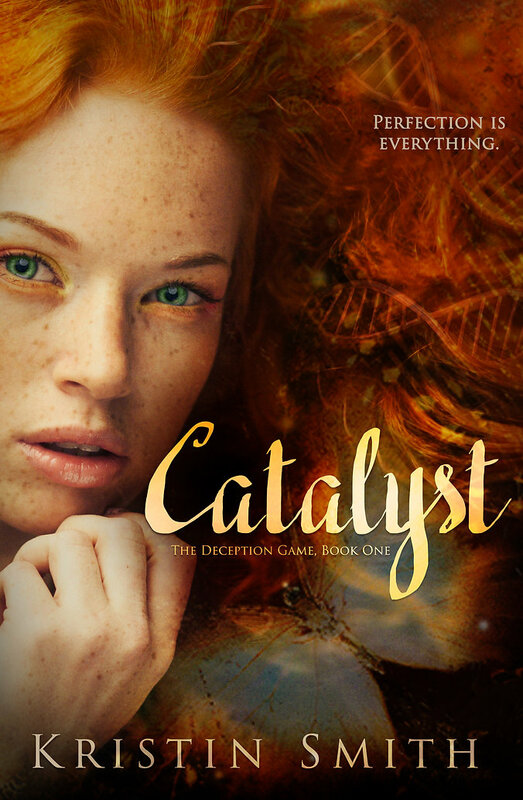 CATALYST and FORGOTTEN by Kristin Smith – A futuristic world with genetically modified teens, a sizzling love triangle, and twists that just keep coming! This series is yet to be complete, and I can’t wait to see how it ends. Kristin was one of my mentors during Pitch Wars, so I was privileged to work with her one-on-one and to interview her about the books. 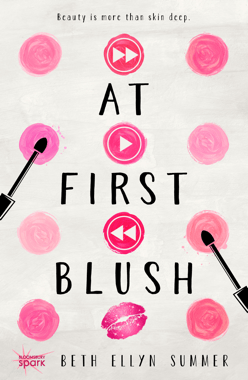 AT FIRST BLUSH by Beth Ellyn Summer – I love the famous-boy-falls-for-unimpressed-girl trope, plus there’s an inside look at life as a teen YouTuber and a great friendship story. Beth was my other Pitch Wars mentor, and she also granted me an interview about her fabulous book. 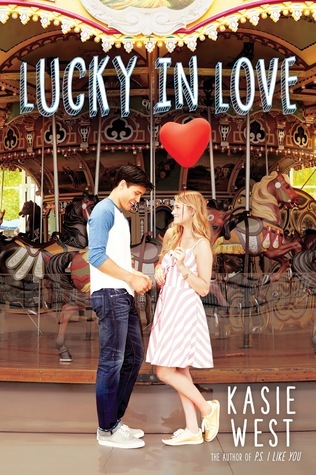 LUCKY IN LOVE by Kasie West – I predicted when I reviewed this book a couple weeks ago that it would make my list, and sure enough, here it is. An adorable romance, believable family dynamics, and a fun premise make this an excellent read. But really, Kasie West books make my list every year, so it’s no surprise :). EVERYTHING, EVERYTHING by Nicola Yoon – A book I put off reading because I thought it would be depressing and I was SO WRONG. It has humor, a romance with fantastic tension, and a unique storytelling structure. It delivers on so many levels, and there’s even a movie to go with it :). So that’s it. What were your favorite reads this year? Any of the same? It’s been a while since I’ve written a review on the blog. My life has been a little consumed by Pitch Wars, and I now have my manuscript out in agents’ hands, awaiting their verdicts. But I did pre-order the Barnes & Noble special edition of Shannon Messenger’s NIGHTFALL, the latest installment in her Keeper of the Lost Cities series, so I thought that would be the perfect book to jump back in with a review. If you haven’t read the first five books in this series, you should stop reading now! Even the description for this book includes spoilers for the previous books, as will my review. Okay, if you’re still here, on to the description. 1. The crushes – Okay, so I am way too involved in the love lives of these fifteen and sixteen-year-olds. In fact, my nine-year-old and I got into an argument about which team we were on. (Yes, there are teams.) But that being said, I love how well Shannon Messenger portrays the confusing emotions Sophie feels toward the boys and how she sorts through them. It’s so authentic and how I remember feeling at that age. And if you’re wondering, yes, even though the characters have gotten older, the romance part still sits firmly in middle grade. 2. The twists – NIGHTFALL is the sixth book in this series and so you’d think Ms. Messenger wouldn’t be able to keep surprising readers, but she continues to come up with new twists in every installment. I was pleased with the new turns in this latest book, and I can’t wait to see what she does in book seven and (maybe?) eight. 3. The special bonus – I ordered the Barnes & Noble special edition in order to get the bonus section from Keefe’s point of view, and it was so worth it! Granted, Keefe is basically my favorite character aside from Sophie, but I loved how it showed a different side of him. 4. Amy – I loved that Sophie’s human sister was a part of this book and how Sophie’s relationship with her added another layer to her character. It was fun seeing the elvin world through her eyes. 5. Ro – The ogre princess is an awesome addition to the cast of characters. She’s hilarious and also brings a new dimension of understanding to a species the elves have only seen a certain way up to now. Love her! Every year I’m dying for the next book, and then as soon as I finish it I wish I could somehow force myself to wait longer so I wouldn’t be anxious for the next one as soon as I finish. Because, of course, this book ended with another cliffhanger. Although it wasn’t as bad as the end of NEVERSEEN. I might never forgive Shannon Messenger for that one :). Okay, I do forgive her since she fixed it in LODESTAR, but still. I have a total love-hate relationship with cliffhangers. What about you? Have you read NIGHTFALL yet? What did you think?